Featuring vivid pops of color, these five gifts are sure to brighten up your Valentine’s Day celebration. Give the gift of sparkle with diamond jewelry and diamond-laden timepieces, such as this exquisite Chopard watch on a pink strap—available at Wempe. 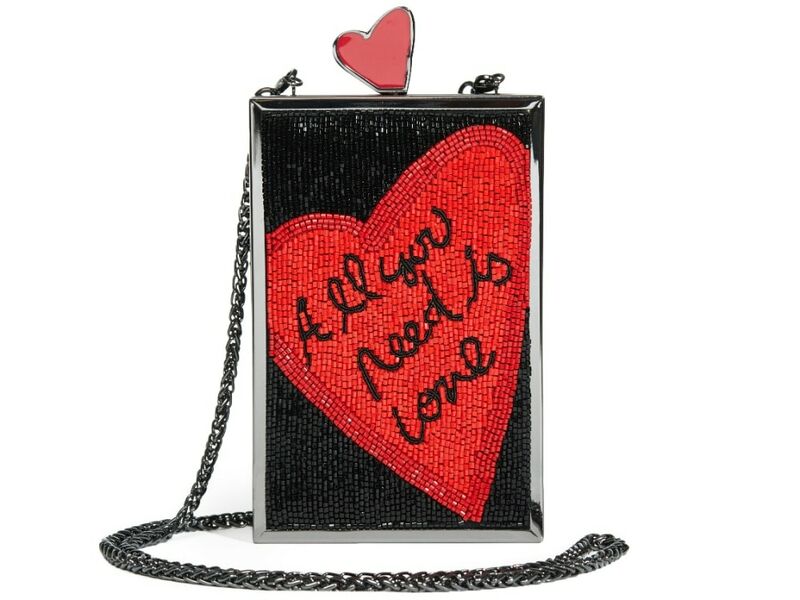 For the music-lover in your life, this edgy clutch adorned with lyrics from The Beatles and a bright red heart is the perfect way to tell your significant other how you feel this Valentine’s Day. 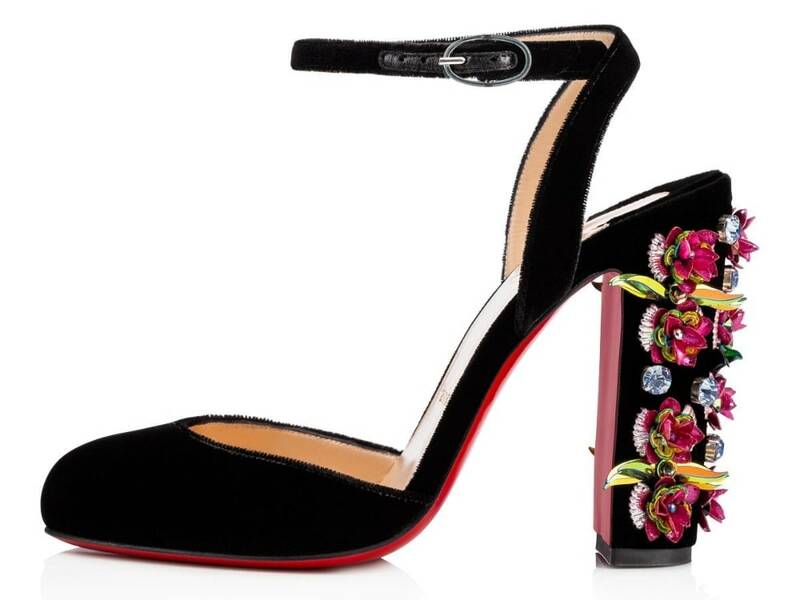 Every girl loves a new pair of shoes—especially ones made by Christian Louboutin. Featuring black velvet with a heel decorated in handmade sequin flowers and sapphire Swarovski crystals, these trendy slingbacks are sure to add some edge to any ensemble. 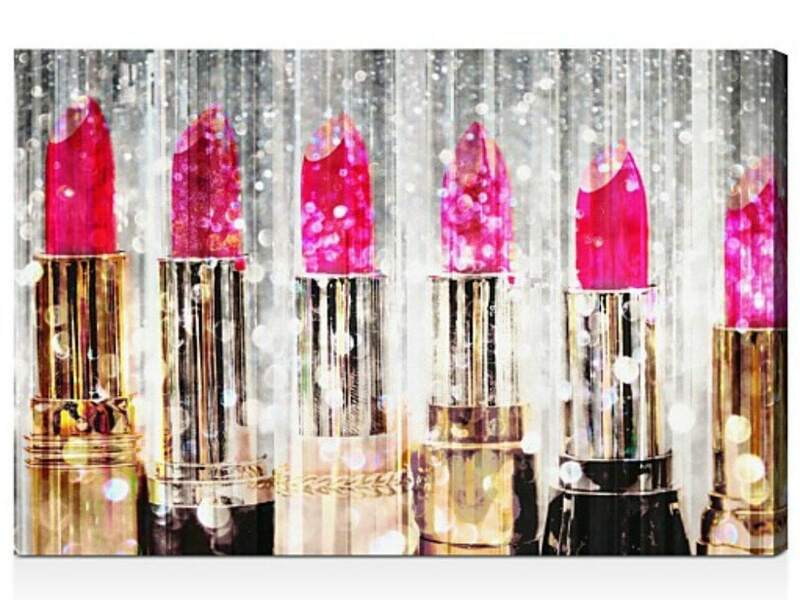 Featuring bright shades of pink and subtle sparkles, this stretched canvas from Oliver Gal will add a touch of glitz and glamour to your loved one’s space. 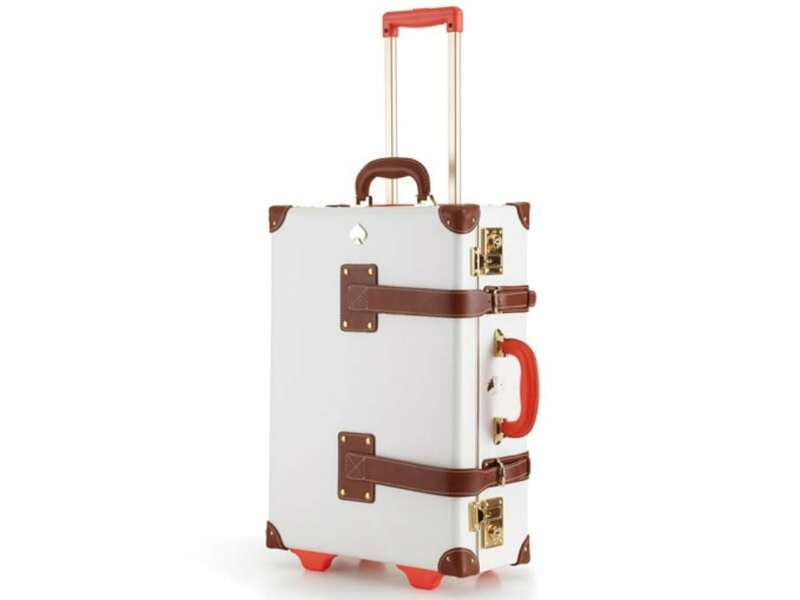 Perfect for the girl that is always on-the-go, this Kate Spade carry-on with decorative leather straps and a pop of red is both practical and chic.